Greetings from Galesburg, Illinois! In case you've been living under a rock, I was selected to be The Register-Mail's photo intern for the fall/early winter, but I was guaranteed to be kept around until I find a bigger opportunity. It's been a busy internship so far, with lots of things going on in the area. I was also given the opportunity to ride in a Stearman biplane during the Fly-In that happens here every year, but the photos from that ride will be in a separate blog whenever I get time to put it together. Chris Spears, of Knoxville, Ill., shares a moment with his dog Rossi, a 9-year-old Czech shepherd, during a welcome home ceremony for the two on Sept. 4 at the Connie Nott Canine Area at Inbinder Park in Galesburg, Ill. Spears, who is currently a police officer in Abingdon, Ill., reunited with Rossi at the ceremony, who both served overseas in Iraq and Afghanistan. Rossi is a former Navy K-9. 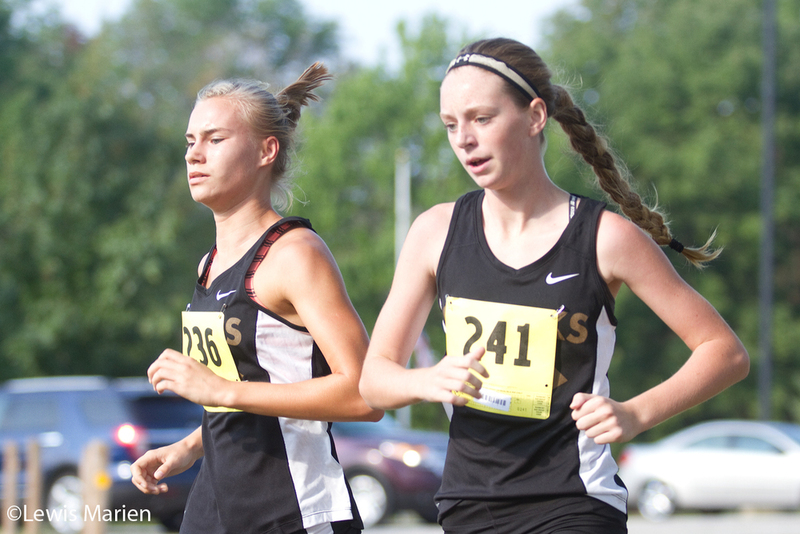 Galesburg's Anastasia Beetler, left, and Kaitlyn Pendergast compete in the varsity girls race on Sept. 5 during the Silver Streaks Invite at Lake Storey in Galesburg, Ill. Pendergast took fifth place in the race and the girls team finished in sixth overall. Local Boy Scouts of America members carry a large U.S. flag down East Main Street in Galesburg, Ill., during the 123rd annual Labor Day Parade on Sept. 7. Galesburg's parade is the second oldest in the nation. The ROWVA High School Marching Band performs in the 123rd annual Labor Day Parade in Galesburg, Ill., on Sept. 7. 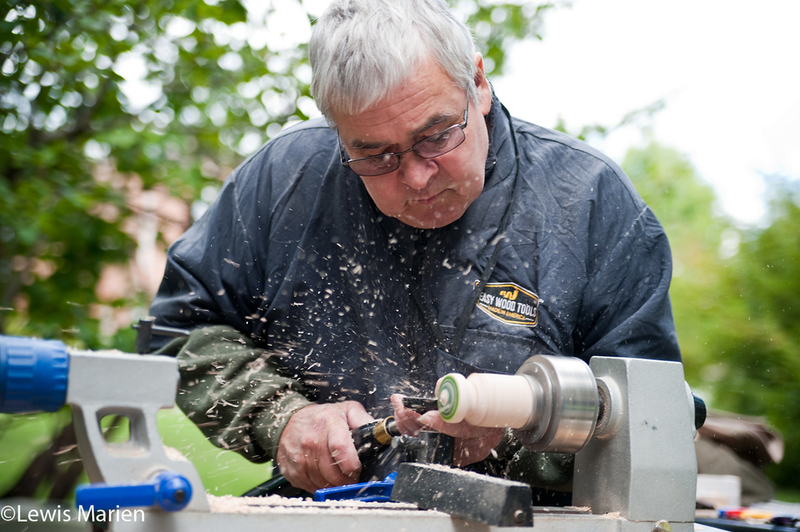 Tom Lowe, of Crystal Lake, Ill., works on the top of a Stearman biplane during Day 2 of the 44th annual National Stearman Fly-In on Sept. 8 at Galesburg Municipal Airport. A trio of Stearman biplanes roll over the flight line during Day 2 of the 44th annual National Stearman Fly-In on Sept. 8 at Galesburg Municipal Airport. Bailey Ripka, 9, carries a basket filled with monarch butterflies near Gale Elementary School in Galesburg, Ill., on Sept. 8. Students at the school released more than 70 monarch butterflies which are migrating to Mexico for the winter. Josie Parish, 9, left, and Bailey Ripka, 9, interact with a monarch butterfly near Gale Elementary School in Galesburg, Ill., on Sept. 8. A Knox College student dressed as a Yip Yip from Sesame Street waits to greet passing students during Pumphandle at Old Main on the campus of Knox College on Sept. 9. Pumphandle is an annual event on the campus, where faculty and students greet each other the day before the fall term begins. Chuck Schulz, a professor of physics at Knox College, high fives students during Pumphandle at Old Main on the campus of Knox College on Sept. 9. A Stearman biplane sits in the flight line during Day 4 of the 44th annual National Stearman Fly-In on Sept. 10 at Galesburg Municipal Airport. 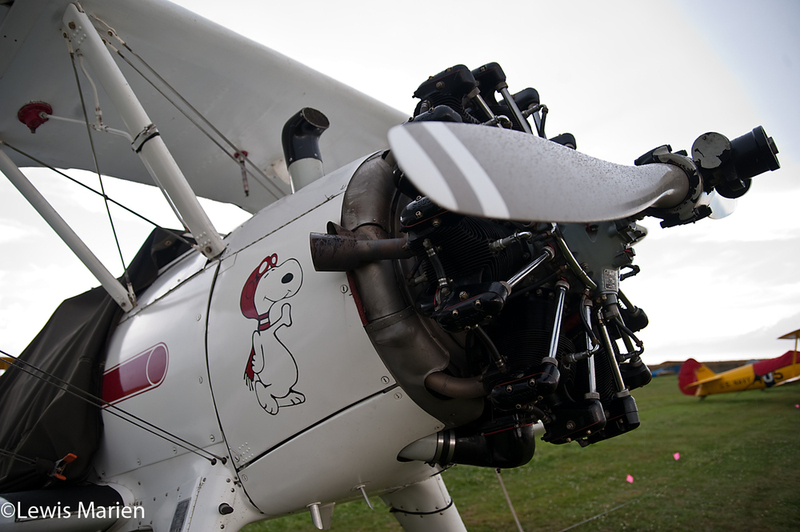 The biplane, owned by Wallace Lail of Duluth, Ga., has a Snoopy (of Peanuts) decal on the front, which was hand-painted by Peanuts creator Charles M. Schulz. Galesburg VFW Post 2257 Quartermaster Dan Jacobs plays "Taps" during the post's annual remembrance of the 9/11 attacks on Sept. 11. The ceremony included a reading of names of local men that died in the War on Terror, a 21 gun salute and the display of a U.S. flag that flew over Afghanistan. Abingdon-Avon quarterback Bo Glaser looks for an open teammate during the Tornadoes' game against North Fulton on Sept. 11 in Abingdon, Ill. The Tornadoes won 38-20. North Fulton running back Cylas Krieger runs the ball during the Wildcats' 38-20 loss against Abingdon-Avon on Sept. 11 in Abingdon, Ill.
Jerry Rhoads, of Saint Joseph, Ill., makes a new spinning top during the Galesburg Civic Art Center's 29th annual Art in the Park on Sept. 12 at Standish Park in Galesburg, Ill.
Carleton College's Chris Madden (1) runs with the ball as Knox College's Sam Coffey (5) closes in during the Prairie Fire's home opener against the Knights on Sept. 12 at Knox College's Stisser Field. The Prairie Fire defeated the Knights 23-20. The Knox College Prairie Fire football team celebrates its 23-20 victory against the Carleton College Knights on Sept. 12 at Knox College's Stisser Field. Cierra Hambsch, of Galesburg, Ill., nears the finish line with her team Galesburg FFA, or "Flooded Farm Animals", during the 22nd annual Great Cardboard Boat Regatta on Sept. 13 at Lake Storey in Galesburg, Ill.
Kevin Terpstra, of Galesburg, Ill., celebrates after finishing a race with his "GE Transportation" boat during the 22nd annual Great Cardboard Boat Regatta on Sept. 13 at Lake Storey in Galesburg, Ill.
Rubber ducks sit in the pool before the 20th annual Galesburg Public Schools Foundation Duck Race on Sept. 13 at Lake Storey in Galesburg, Ill.
Chad Thompson, a fifth grade teacher at Gale Elementary School in Galesburg, Ill., gathers ducks during the 20th annual Galesburg Public Schools Foundation Duck Race on Sunday afternoon at Lake Storey in Galesburg, Ill.